Saba Alizadeh born in Tehran, Iran is an unparalleled figure at the forefront of Persian music. Renowned internationally as an experimental music composer and master instrumentalist of Persian music (playing the Kamancheh). 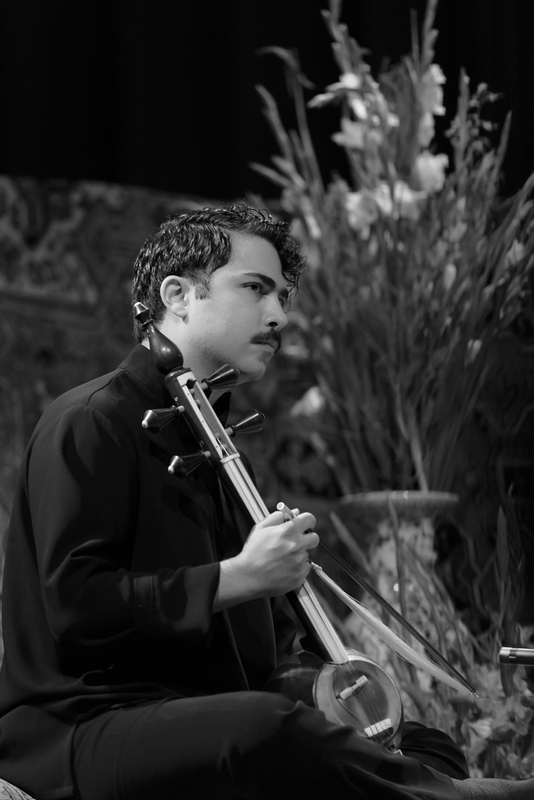 He is the son of the world renowned Hossein Alizadeh and has toured worldwide for the past decade. Saba studied photography for his Bachelor degree in Tehran and he also holds an MFA from California Institute of the arts in Experimental Sound Practices. Saba's musical career branches into two different paths. One is Saba as a virtuoso on kamancheh ,a soloist and a collaborator. The other is Saba as a musician in the experimental realm in which his pieces also tend to have a theatrical element to them. "Alizadeh's compositions evoke both the personal and the political through the use of mixed media, electroacoustic processing and improvisation. Alizadeh will be seen in the years to come as among Iran's most forward thinking composers. Saba is also the founder of "Noise works",a platform in Tehran which mostly focuses on performing and educating sonic arts. Saba is also an internationally acclaimed photographer. His latest series "Light & Soil" has been exhibited in such cities as Tehran,Moscow,Paris,Kuwait,London and etc along side acclaimed artists such as Shirin Neshat. Playing Kamancheh(the Persian spike fiddle)for the past 24 years, studied the instrument with Saeed Farajpoury and Kayhan Kalhor. Since 2015 “Noise works” a platform/laboratory for electronic/experimental music located in Tehran was created. Noise works main focus is on education and performance in this realm. Aural events : which are a series of concerts happening every month or two regarding electronic/noise music curated by me and with the co-operation of the Silkroad gallery.